It’s hard to believe that it’s been a year since I awkwardly emailed Marcy and asked her to join me as a co-host of Schoolin Life. 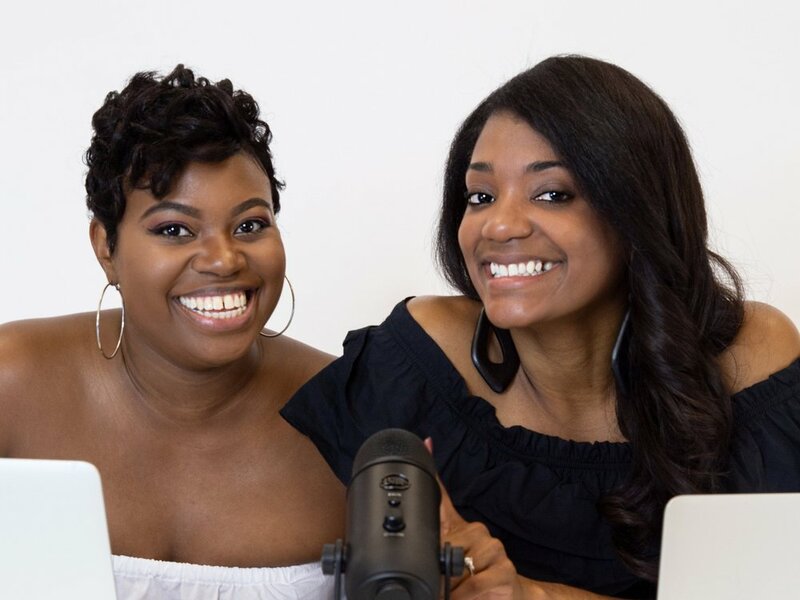 After my former co-host had left the show abruptly, I considered how passionately I felt about developing this brand and how important it was for me to find the right person to help me succeed and have fun while maintaining work and personal lives. Now, as y’all know all too well, I’m a boss on my own, but I’m a force when I work with Marcy. Building a supportive and respectful business relationship is something we’ve worked at this past year and I’m proud of what we’ve developed together. Follow my list of key considerations if you decide to go into business with a friend. We record new Schoolin Life episodes every Monday night at 6:00 p.m. We create detailed episode notes that guide each episode. We write two blogs each month and rotate as authors. In our business relationship, we have clearly defined our distinct roles, the boundaries of our responsibilities, and how we share the engagement with our audience. We set these rules early in our relationship and we are committed to maintain them, while giving grace and space to change them as needed (more on this later). Be sure to learn what each other’s boundaries are and commit to respecting them. Following these guideposts in your business relationship to protect a lasting partnership. You know it must be awkward, having your lawyer draft a contract for you to work with your high school friend. But do you know what is necessary? Having your lawyer draft a contract documenting the working business relationship you expect to have with your high school friend. I know it might sound extra, but the comfort that comes from growing a brand covered by legally bound expectations is unmatched. Involve a lawyer early in forming any business relationship with a friend, or at least use online legal services like LegalZoom to draft a working relationship contract. Remember to get the receipts up front. Our timelines are set, but Marcy may run late. After a wild and crazy weekend, I may give her the episode notes late. Or maybe, one of us is just having an “off” week. Even with roles and contracts, it is still important to provide grace in business relationships. Not only does everyone make mistakes, but you need to let your business bestie know that one mishap isn’t going to ruin the relationship and that you have her back. Providing grace means not holding a grudge, not keeping a record of wrongs, and being perceptive enough to know when they might need an extra dose of understanding. When they need grace, you should give it. Schoolin Life is hard work, but the business relationship that Marcy and I have is not. Follow these three guidelines to see your business and your relationship flourish. I like to think of Schoolin Life like the Nordstrom of podcasts—accessible, relatable, available in person and online, but rarely pushing sales. You don’t see us constantly running weekly “flash” sales or “15% Off Friday” events and that’s because I charge what I’m worth. However, every now and again it’s fun to cut y’all a break, and today is the day! Shop the Schoolin Life Spring Sale to get up to 60% off until TODAY April 5, 2019. Everything from our top selling mugs and “All Black Everything” sweatshirts, to our logo t-shirts are discounted just in time for spring weather. I can’t wait to see our merch on you!